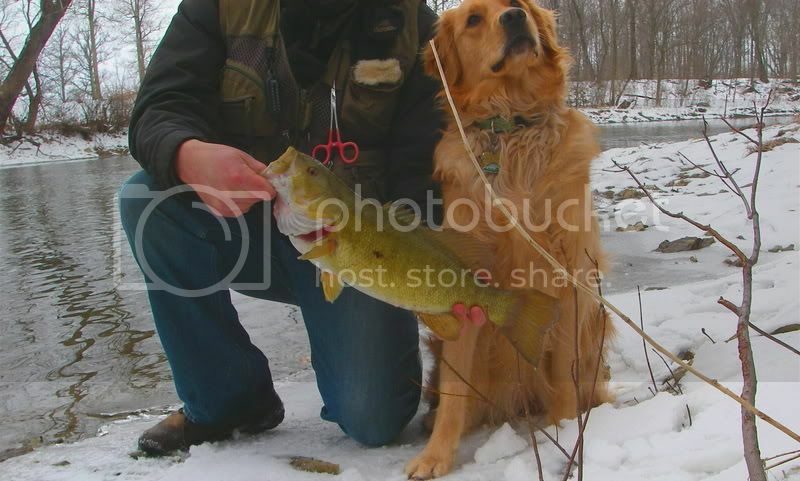 Took my Golden Retriver Wendy out for some outside play that included a fishing rod and some hair jigs and float for me :) . We walked the long walk through corn fields and woods. The temp was around 25F, mostly cloudy, but not gray. When we got to the spot, most of it was covered with a thin ice layer. I did have about 15 feet of eddy in which to play followed by 25-30 feet of ice before the steep bank I stood on. Wendy was busy frolicking in the snow, she is truly a winter dog. Burying her head in snow drifts and walking out on the ice for fun. About an hour and a half in I was using about 5' of leader below my float when it started to swim sideways a bit, then dunked! 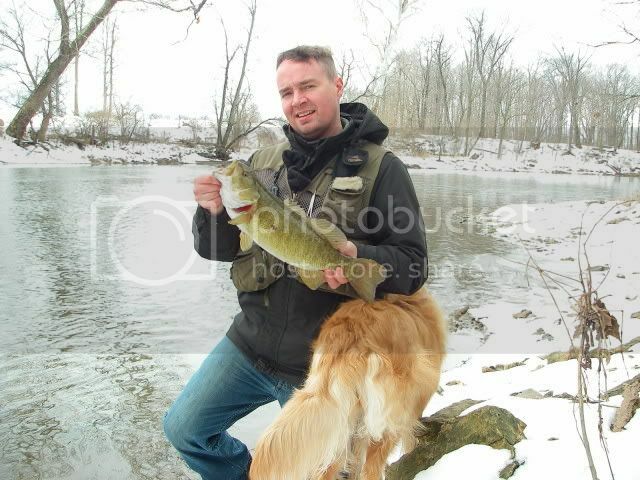 I pulled tight and soon had a nice smallie pulled up on the ice flow. Well about halfway in the line caught on a branch laying on the ice. Wendy ran out and grabbed the stick :) :shock: enough to free Mr. Bass! 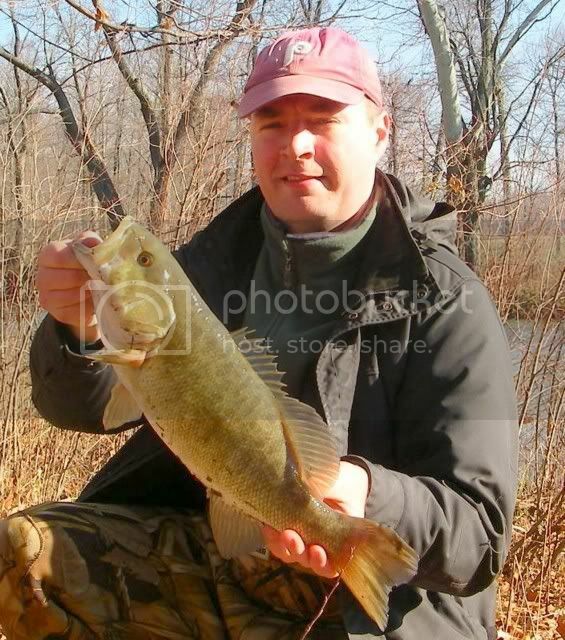 I reeled him in and noticed he was kind of large :) :) . No idea she was going to to do that, so I can't take credit. Guess she wanted the stick? The rest of the time I had to try and keep her off that ice. 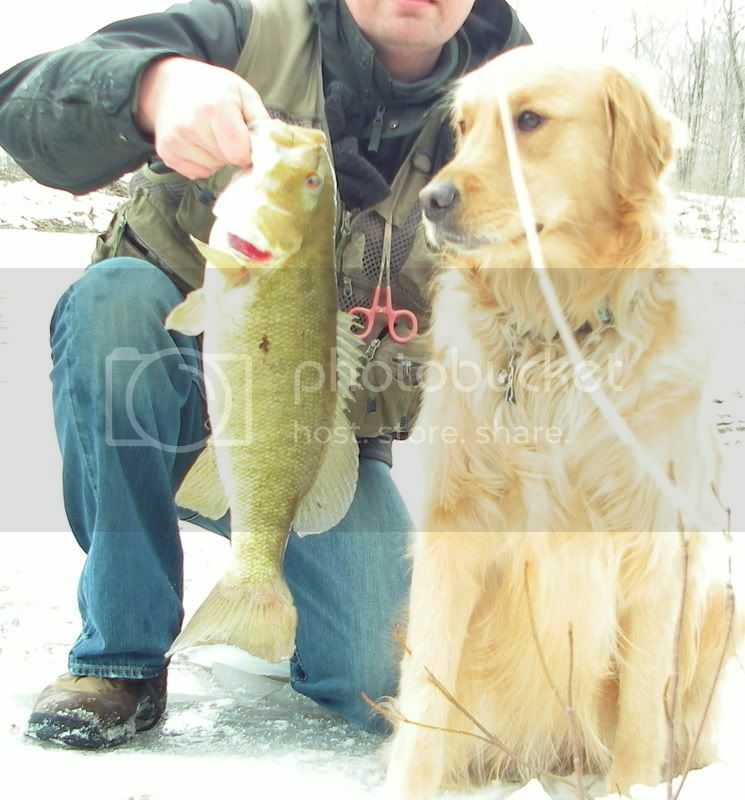 Try as I might, I got one more bite, the fish swam under the ice and sawed off my old mono backing. Looked about 17".